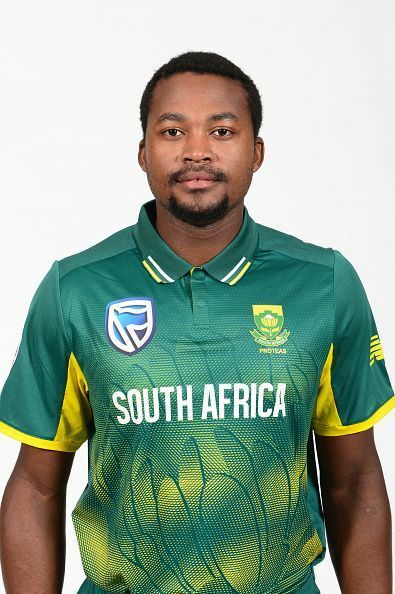 Andile Phehlukwayo is a South African right arm seam bowling all-rounder, who is hailed one of the brightest young talents from South Africa. Phehlukwayo was born on 3 March 1996 in Durban, South Africa and is swiftly taking big leaps in international cricket. He was part of the South African U-19 World Cup winning squad in 2014. Phehlukwayo was inclined to hockey and cricket while growing up. Despite winning a bursary for hockey, he found his real interest in cricket. He worked his way to the provincial U-12 side and strong performances at the junior level saw him being named in the South African U-19 World Cup squad which won the 2014 U-19 World Cup. A young 18-year old Phehlukwayo was included in the Dolphins squad and played in the 2014 Champions League T20. He played four matches and did not perform on the expectations but garnered some invaluable experience which would help him in the future. With just 24 first-class game under his belt, Phehlukwayo was included in the Test squad for the series against England but did not make his debut. In September 2016, at the age of 20, Andile made his international debut in an ODI match against Ireland at Benoni. Although he did not get to bat, he bowled 4 overs without picking up a wicket. His Test debut came a year later in September 2017 against Bangladesh, where he picked up just one wicket. Phehlukwayo has taken giant strides in the game of cricket at a very young age and that too in very short time. Despite having an ordinary 2014 season with the Dolphins, Phehlukwayo emerged as the leading wicket taker for them, taking them to the finals in the T20 tournament by scalping 12 wickets. This resulted in his inclusion in the South Africa A team which toured Australia and Zimbabwe in 2015. He was the leading wicket taker for the South Africa A side in the quadrangular ODI series in Australia. All these performances ensured that the call up to the national team was nearby. In the 5-match home ODI series against Australia, Phehlukwayo ended up as the leading wicket taker of the series taking eight wickets in five matches, which also saw Proteas whitewashing the Aussies 5-0.